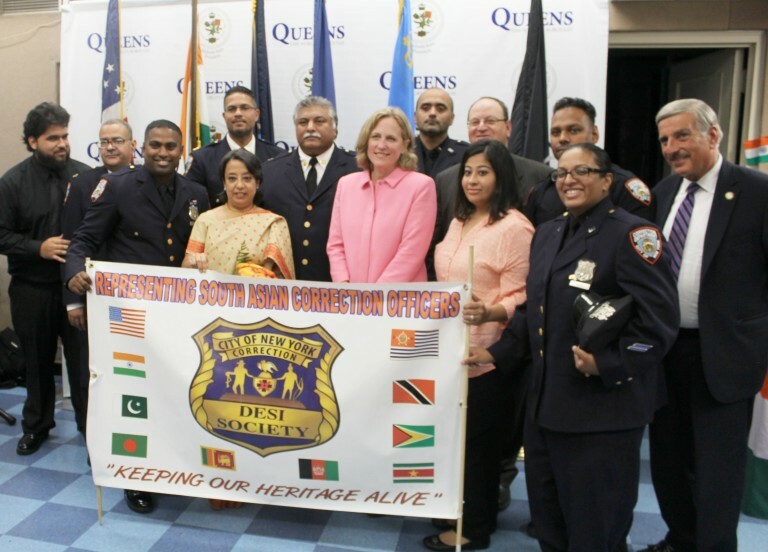 Queens Borough President Melinda Katz recently hosted a celebration of the 70th Independence Day of the Republic of India. In her remarks at the Borough Hall bash, Katz said those of Indian heritage that live in Queens contribute to the diversity of the World’s Borough and have made it a more prosperous and welcoming place. Posing with the borough president are Riva Ganguly Das, India’s Consul General in New York (Katz’s l.), Assemblyman David Weprin (rear r.), City Councilman Barry Grodenchik (rear, third from r.) and members of the City Correction Department’s Desi Society, which represents correction officers of South Asian heritage.